Star Trek Las Vegas is an annual 4-day pilgrimage, Thursday to Sunday, for thousands of Trek fans, young and old. Our Seattle based Fleet 31 ship USS Veracity were represented at this year’s convention, which included myself, Counselor Karen Malomay, Michele Celich-Tactical Officer, Cadet Cole Malomay, and USS Syber —Capt Scot Sterling CO, Andy Lutz XO, Noel Lee Verlarde CMO— as well as personnel from Starbase Portland—Jay Galloway, Jamie Snyder, and Michelle Wells. There were notable absentees this year including Leonard Nimoy and Grace Lee Whitney— Spock and Yeoman Rand— respectively and with respect. 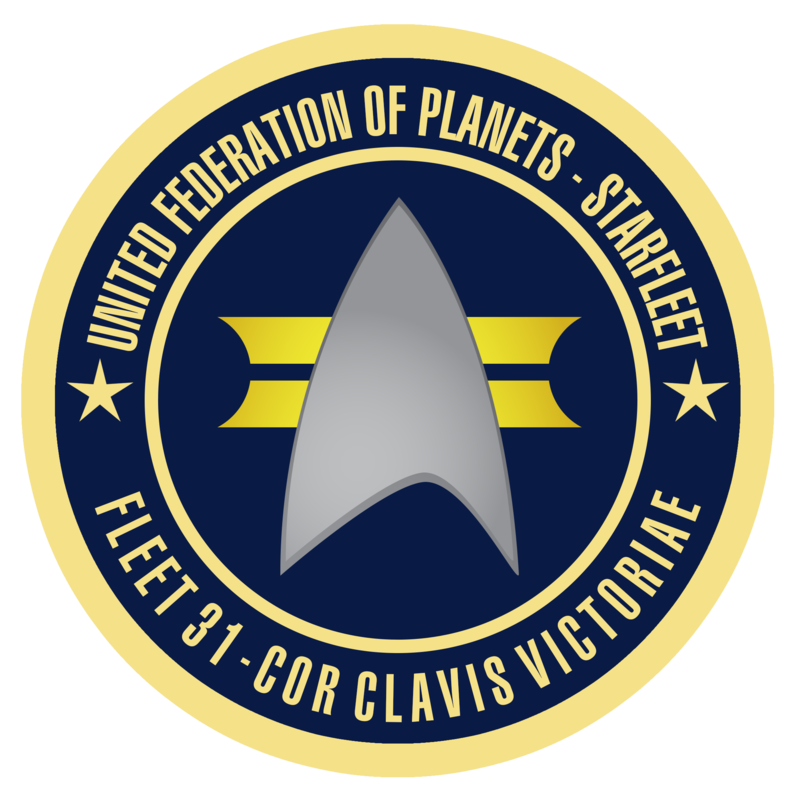 We met up with additional Fleet 31 personnel for a photo-op premiering our Fleet 31, USS Veracity, and UFP banners by the StarFleet symbol at the main entrance. There were props for photo-ops —The Guardian of Forever, transporter pad, Borg alcove and TOS bridge. We attended screenings of both Star Trek: Renegades and Star Trek Continues —“The White Iris” episode. The panels were tremendous- especially the Voyager panel, TNG, and the DS9 Rat Pack show, where the DS9 alumni do Las Vegas-inspired musical parodies full of DS9 references. We had numerous inquiries about our uniforms and noticed half a dozen people take pictures of our banners so it wouldn’t surprise me if we get some new member requests. This year seemed to be confusing and disorganized —don’t know if that was more me or the convention. I know how expensive conventions are with airfare, hotel, tickets, food, so I know it takes planning and saving money but this convention is one of the biggest in Star Trek fandom. If at all possible find a way to get to Las Vegas. There were cosplayers galore this year —Borg, Vulcan, Capt Pike, Ferengi, Andorians all were represented. My wife, son and I were Ferengi and Redshirts this year with some surprises next year.